Choose one of the supported authentication methods to protect your application, like Form, SPNEGO, Social or TFA. Use SAML 2.0 protocol to provide SSO for one logon from any device. Integrate your application programmatically using authentication via API. Delegate authentication to a 3rd party or on-premise IdP, as default or based on a condition like IdP, e-mail domain, user type or user group, and thus enable SSO across on-premise and the cloud. Enforce two-factor authentication based on IP ranges, user groups, user type or authentication method to protect access to a business application. Use SCIM REST API to manage users and groups, invite users, customize end-user UI texts in any language. 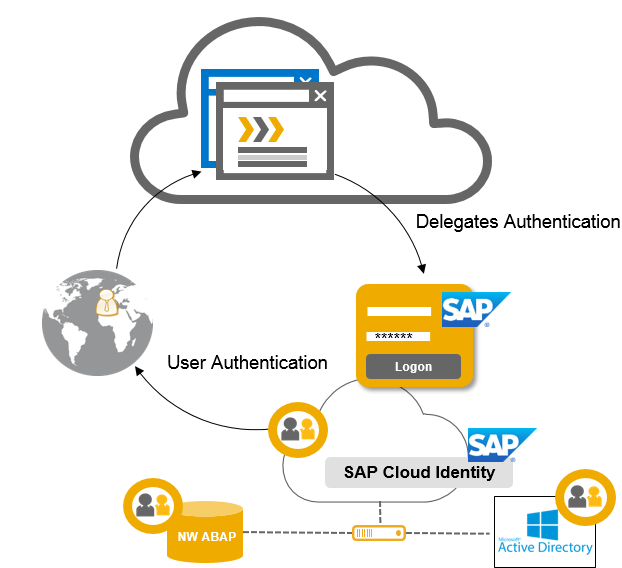 SAP Cloud Platform Identity Authentication provides you with simple and secure cloud-based access to the business processes, applications, and data you need. It simplifies your user experience through state-of-the-art authentication mechanisms, secure single sign-on functionality, on-premise integration, and convenient self-service options.